Your gift can help us make disciples who are truly rooted in Jesus! Rooted in Jesus has been a great adventure; when we began in 2002 we never dreamed it would spread to 80 dioceses or networks, involve over a hundred thousand people in groups, provide the first discipleship syllabus for children, be translated into 44 languages (and counting), overwhelm us with humbling testimonies of changed lives and growing churches, or be endorsed by the Anglican Communion – and yet all those things have happened. 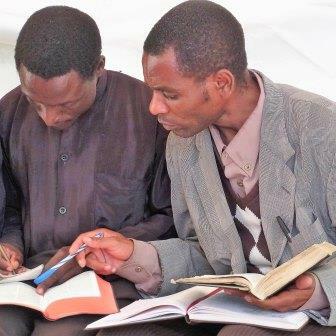 We don’t go looking for work, but whenever a request comes from an African diocese, we send out a team to run a conference which trains clergy and lay leaders to establish small discipleship groups in their home communities. A typical conference trains up to 150 leaders and enables up to two thousand people to join a Rooted in Jesus group, thus bringing discipleship to many lives. For many of these leaders it’s the first formal training they have ever had. Rooted in Jesus is deliberately designed to be low cost. Team members from outside Africa raise their own travel costs. Conference delegates also cover their own travel. Wherever possible, host dioceses cover the cost of the conferences and arrange translation. But we provide the books free of charge, and we pay the travel costs of one or two experienced African team members from neighbouring countries. We also make grants to dioceses in particular need (eg following war, or famine). Each diocese is different, but none of them can get the programme off the ground without some investment from us. Costs vary from diocese to diocese, but so far the average cost to us of running a conference has been about £3000. This is in addition to our fixed administrative costs. Typically £20 provides training and books for one participant. £100 enables translation into a new language. £600 pays for a conference print run of leaders’ booklets. Rooted in Jesus is entirely dependent on donations from individuals and churches. Over the last five years we have invested £90K directly into establishing Rooted in Jesus groups across sub-Saharan Africa. If we are to continue doing this, we will need to invest at a similar rate - probably more as the work expands. If you would like to invite your church to support Rooted in Jesus we’d be delighted to send flyers or provide a speaker. You can donate online using the purple button, or by cheque or standing order, and we can claim additional Gift Aid from the government if you are a UK taxpayer. Further information about all these options is given below, and Gift Aid / Standing Order forms can be downloaded by following the orange links. read what those using the course have said here. The easiest way to support Rooted in Jesus is to make an online donation. Just click on the purple Donate button and choose from the various options. You can make either a one-off gift or a regular donation, and if you are a UK taxpayer Gift Aid is automatically reclaimed for you, adding 25% to your donation. Regular giving helps us to plan effectively and offer ongoing support to the dioceses with whom we work. You can set up a regular Standing Order by completing a STANDING ORDER* form and giving it to your bank. If you are a taxpayer we can claim Gift Aid, which increases the value of your donation by 25%. If you prefer to donate by cheque, you can download and print out a GIFT AID* form here and return it to us by post. 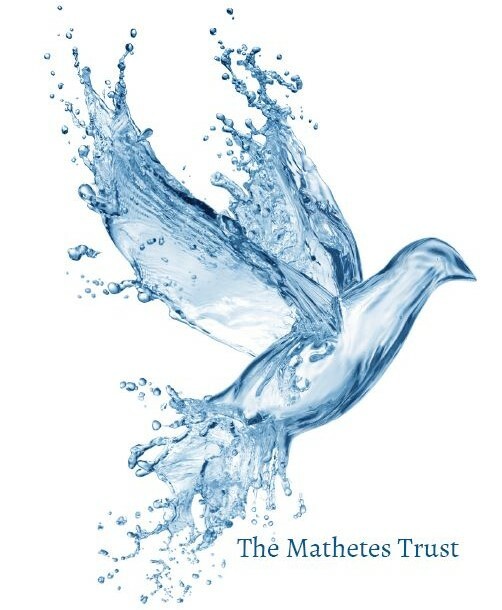 Please make your cheque payable to The Mathetes Trust. If you would rather make an online bank transfer to The Mathetes Trust, you will find the account details on the Standing Order form. Why not ask your church to include us in their mission giving, or to hold a collection for Rooted in Jesus? We can provide speakers and promotional flyers to help you. Hold a fund raising event to support Rooted in Jesus - use the MyDonate button to set it up. Ask your diocese to support Rooted in Jesus through its companion links programme. If you represent a grant-making trust, or know of a trust that we could apply to for funding, let us know. Remember Rooted in Jesus in your will and help Christian mission for years to come. Africa is a challenging place to live and minister. We are constantly overwhelmed by the dedication and commitment of the group leaders and coordinators. But we know from long experience that no discipleship programme will flourish without a lot of prayer support. If you would like to join our prayer network we would be delighted to hear from you. Please get in touch. *If you can't open any of the documents on this page, download the free Adobe Acrobat Reader here.